I’m a big FourSquare user and i have been since they launched. I think I was one of the original 10k users to sign up for the service. Looking at my profile, i can see that i’ve done over 5700 checkin and am the mayor of over 20 venues. I’m all over it. I learned a few weeks ago that 4S was going to change up their business. They discovered that there are two distinct personas that use their app: (1) the user who checks in a lot and views where their friends are; (2) the user who uses the app to find places to go and search for tips. They found that they were constantly limiting each personas experience so they could wedge both into the service. They also recognized the rise of “App Constellations” where multiple services such as Facebook, Dropbox and others are producing multiple apps that deep link to each other (read this good Fred Wilson blog post about it). So, they announced that they are splitting their business into two apps: one for the checkin user (like me) called Swarm and another for the venue researcher called Foursquare (which will compete directly with Yelp). I like this change. 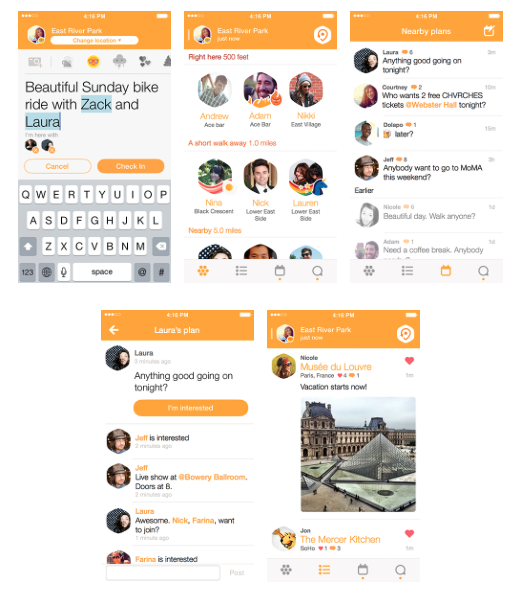 Since it happened, i found myself using Swarm a lot and because it didn’t have the other stuff in there, it’s more streamlined and easier to use. They also were able to add a few extra features like “Where are you going to be?” because they have the room. In short, I love the new strategy and like the new app. I am mayor at 20+ places and found daily enjoyment in that fact. This change is a bummer. I guess it reflects society’s need for everybody to be a winner, which is also stupid. But I understand why they’re doing it, but i also hate it. It’d be nice to have a global mayor. As a side note: I’ve currently checked in to Illegal Pete’s for 79 consecutive weeks. I feel like that’s some sort of record. Foursquare vs. Quora: which would you invest in?